[New York, NY – June 15, 2018] After releasing a string of emotionally full-bodied and soulful pop gems, 15-year-old London-born, Australian-raised Ruel returns today with the release of his highly anticipated debut EP, READY, out now via RCA Records. The EP, also features two previously un-released songs, an infectious falsetto-laden alt R&B influenced track called “Not Thinkin’ Bout You” and “Say,” a nostalgic, heartfelt power-ballad that exquisitely showcases the young artist’s impressive vocal range and control. Last week, Ruel released “Younger,” which saw its premiere as Zane Lowe’s WORLD RECORD on Beats 1, and has since received support from KCRW’s Jason Kramer on his esteemed nightly show. Comprised of an all-star cast of Ruel’s friends, including Grammy Award-winning producers M-Phazes and S1 (Beyonce, Kanye West & Jay-Z), background vocals by Sarah Aarons (Zedd & Alessia Cara, Dua Lipa) and Jason McGee & The Choir. 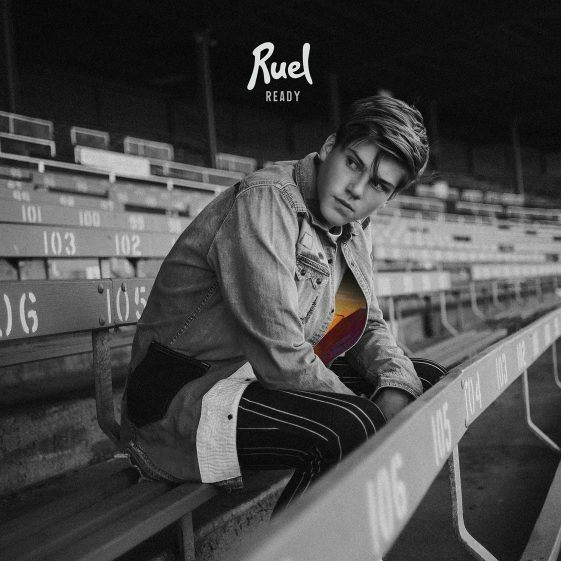 It is unique collaborations and songs like “Younger” that further solidify the young multi-instrumentalist and songwriter Ruel as one of the most exciting emerging artists in 2018. Compared to the likes of Frank Ocean and James Blake by NYLON Magazine, Ruel was introduced to soul, blues, and jazz by his music-loving father, and counts Stevie Wonder, Dave Brubeck and Amy Winehouse as major musical influences growing up. Having caught the attention of Grammy nominated Khalid, who invited him on the road as direct support on his Australian/New Zealand tour in late 2017, to the legendary Elton John, who proclaimed on his Beats1 radio show that he had the “most amazing voice that I’ve ever heard from a male singer at 14 years of age.” Ruel is connecting with audiences on a global scale, and since inking his deal with RCA Records he’s ready to bring his signature soulful sounds to American shores. According to Ruel, “Don’t Tell Me” was inspired by an evening spent sitting at the dinner table telling his parents and siblings about a girl he had a crush on. “My whole family was like, ‘Ruel, you don’t know what you’re talking about, you’re way too young to think about that sort of stuff,’” he recalls. “And that really frustrated me. I thought ‘they can’t tell me how to feel’, so I wrote a song about it. I never thought it would lead to all of this.” Watch the video for “Don’t Tell Me” HERE.